We are looking forward to the next Film Festival planned for April 2020. Stay tuned for more info! 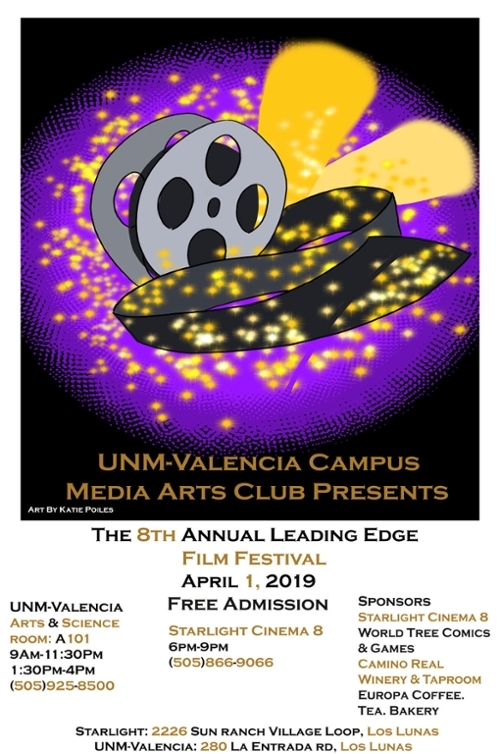 The MediaArts Club of UNM - Valencia Campus brings you the 8th Annual "Leading Edge" Film Festival on Monday, April 1, 2019 this year!